It’s not an earth-shattering or planet-changing message(or video presentation, for that matter) on TED.com, but I have been inspired by Matt Cutts short presentation titled “Try something new for 30 days”, and have decided to give myself the challenge of posting a new photograph to my blog every day for the next 30 days. I hope to reflect and reflect on the various ins and outs, ups and downs, comings and goings this way. 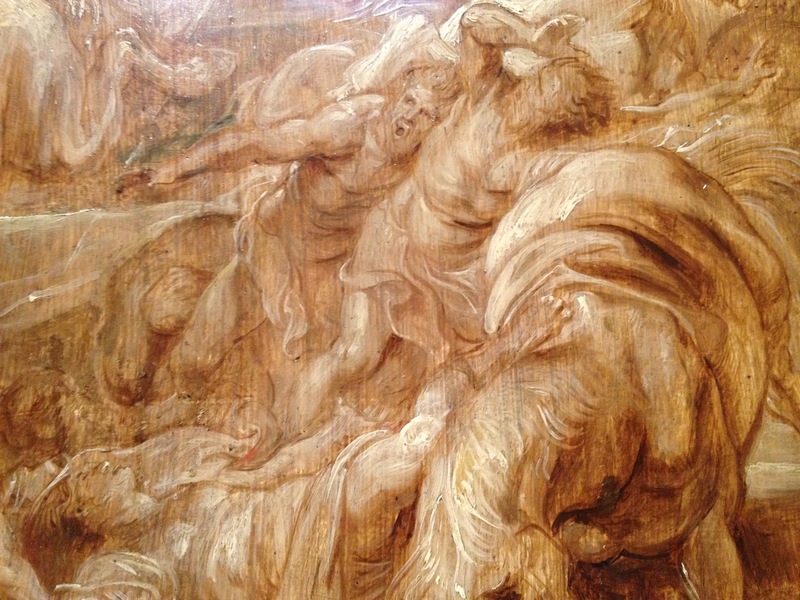 The first image is a close-up section from a Rubens sketch in the Ashmolean museum, where they allow you to take pictures as long as you don’t use flash. Got to love them for that. The expression in the faces (the scene is Saul on the road to Damascus) is captivating, and this story is unbroken to the present, with the region torn by the same obsessions and beliefs. Thank you for sharing this. The videos at Ted are truly inspiring. I’d love to make my own 30-day challenge.